As an open source, not-for-profit, warm-and-fuzzy, community service oriented project, we don’t normally like to talk about market rivals or competitive products when we talk about Omeka. Nevertheless, we are often asked to compare Omeka with other products. "Who’s Omeka’s competition?" is a fairly frequent question. Like many FAQs, there is an easy answer and a more complicated one. The easy answer is there is no competition. 😉 Omeka’s mix of ease of use, focus on presentation and narrative exhibition, adherence to standards, accommodation for library, museum, and academic users, open source license, open code flexibility, and low ($0) price tag really make it one of a kind. If you are a librarian, archivist, museum professional, or scholar who wants a free, open, relatively simple platform for building a compelling online exhibition, there really isn’t any alternative. The more complicated answer is that there are lots of products on the market that do one or some of the things Omeka does. The emergence of the web has brought scholars and librarians, archivists, and museum professionals into increasingly closer contact and conversation as humanists are required to think differently and more deeply about the nature of information and librarians are required to play an ever more public role online. Yet these groups’ respective tool sets have remained largely separate. Library and archives professionals operate in a world of institutional repositories (Fedora, DSpace), integrated library systems (Evergreen, Ex Libris), and digital collections systems (CONTENTdm, Greenstone). Museum professionals operate in a world of collections management systems (TMS, KE Emu, PastPerfect) and online exhibition packages (Pachyderm, eMuseum). The humanist or interpretive professional’s online tool set is usually based around an off-the-rack web content management system such as WordPress (for blogs), MediaWiki (for wikis), or Drupal (for community sites). Alas, even today too much of this front facing work is still being done in Microsoft Publisher. The collections professional’s tools are excellent for preserving digital collections, maintaining standardized metadata, and providing discovery services. They are less effective when it comes to exhibiting collections or providing the rich visual and interpretive context today’s web users expect. They are also often difficult to deploy and expensive to maintain. The blogs, wikis, and off-the-rack content management systems of the humanist (and, indeed, of the public programs staff within collecting institutions, especially museums) are the opposite: bad at handling collections and standardized metadata, good at building engaging experiences, and relatively simple and inexpensive to deploy and maintain. 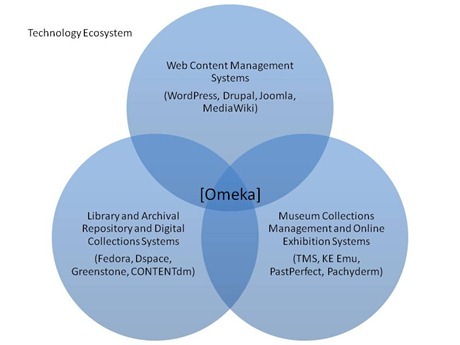 Omeka aims to fill this gap by providing a collections-focused web publishing platform that offers both rigorous adherence to standards and interoperability with the collections professional’s toolkit and the design flexibility, interpretive opportunities, and ease of use of popular web authoring tools. By combining these functions, Omeka helps advance collaboration of many sorts: between collections professionals and interpretive professionals, between collecting institutions and scholars, between a "back of the house" and "front of the house" staff, and so on. In doing so, Omeka also helps advance the convergence and communication between librarians, archivists, museum professionals, and scholars that the digital age has sparked, allowing LAM professionals to participate more fully in the scholarship of the humanities and humanists to bring sophisticated information management techniques to their scholarship. Which brings us back to the short answer. There really is no competition. I love open source. Why? Here’s a fairly representative example. Following Patrick Murray-John’s excellent post and bootstrapping of a new AjaxCreate plugin for Omeka, I speculated on the Omeka Dev List about whether some related technologies and methods could be used to power a plugin to handle controlled vocabularies and authority lists, something Omeka currently lacks and our users (including internal CHNM users) really want. After some back and forth among developers at three institutions—and some very important input from a non-technical but very smart (and very brave!) member of Omeka’s end user community—we were able 1) to determine that AjaxCreate probably wasn’t the right vehicle for managing controlled vocabularies, and 2) to lay out some informal specs for a separate, lightweight ControlledVocab plugin. Patrick then set to building it and today introduced an alpha version of ControlledVocab to the dev list. All of this happened in less than a week. Through the combined efforts of developers and users, the Omeka community was able to identify, describe, and make some ambitious first steps toward pluging a hole in the software. The moral of this story is get involved. Whether you’re a developer or an end user, go download some open source software (Omeka would be a nice choice), test it out (how about the ControlledVocab plugin? ), post bugs and feature requests to the forums or dev lists, and see what ensues. The annual meeting of the National Council on Public History (NCPH) is only six weeks away, and CHNM will be there in force. 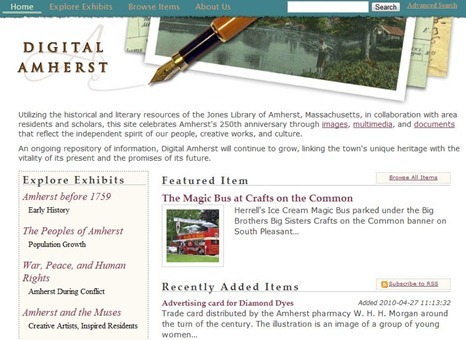 On Thursday, March 11, we will be running a working group to help “Jump Start Your Digital Project in Public History.” On Saturday, March 13, we will be running a special workshop on getting started with Omeka. NCPH is one of my favorite conferences of the year, attended by some of the most interesting people working in history today. 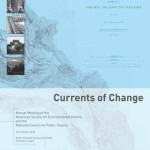 Check out the full program online at NCPH’s slick, new, WordPress-powered website. See you in Portland! With due respect to the elites that are at the core of Sakai and also Kuali, the real issue is not the deployment of Kuali or Sakai at MIT, at Michigan, at Indiana, or at Stanford. It’s really what happens at other institutions, the non-elites. Indeed, all government- and charity (read, “foundation”)-funded open source projects should measure their success by adoption at the “low end.” That goes for library and museum technology as well; we could easily replace MIT, Michigan, Indiana, and Stanford in Mr. Green’s quote with Beinecke, Huntington, MoMA, and Getty, Though we still have a long way to go—the launch of Omeka.net will help a lot—Omeka aims at just that target. The Scholars’ Lab at the University of Virginia is working on a new plugin for Omeka that would connect an Omeka frontend to a Fedora repository backend. An early version of the code can be downloaded from the Omeka SVN repository. Any questions or comments on the plugin should be directed to the Omeka Dev list. We’re very grateful for the hard work of our friends at UVA, especially Wayne Graham, the Scholars’ Lab’s head of research. We hope this comes as further demonstration of the growing strength of Omeka’s open source community and the flexibility of its technology. A new series of Omeka “playdates” (informal training sessions) launched last week with a well-attended even at Omeka HQ in Fairfax. A second playdate, to be held on Thursday, April 2 before the start of the National Council on Public History annual meeting in Providence, was just announced. A third, again in Fairfax, will fill the Friday between the close of Digital Humanities 2009 and the start of THATCamp on June 26. We will be announcing additional dates in the weeks ahead. Visit the Omeka Events calendar for more information, to sign up, and to see a list of upcoming papers and presentations by Omeka staff members. By now many of you are already following @omeka on Twitter. Do you also know that you can track changes to the Omeka trunk on Twitter by following @omekatrac? The Omeka development team and development community are always available to answer questions about theme and plugin development, receive bug reports, and accept code contributions via the Omeka Dev Google Group. Now the community is also available via IRC at irc.freenode.net #omeka. 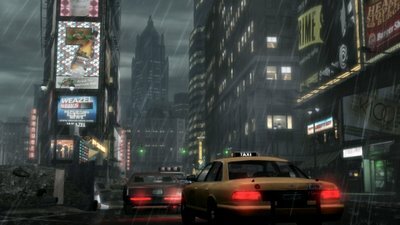 Check in at 2:30 EST on Fridays for the weekly developers’ meet-up. As always, new or prospective Omeka users should play in the Sandbox and visit the getting started sections of our open, editable documentation. In coming weeks, we will be convening a community documentation working group to improve our support resources in advance of the 1.0 release. Let us know if you’d like to get involved. 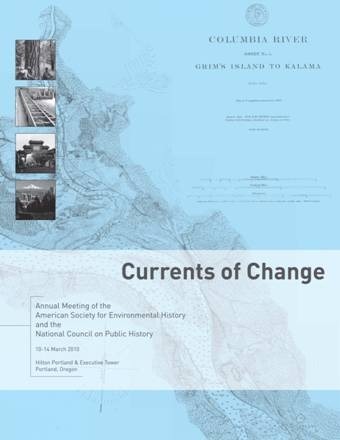 Jessica Pritchard of the American Historical Association blog reports on a panel at last month’s annual meeting that asked what it takes to be a public historian. Entitled “Perspectives on Public History: What Knowledge, Skills, and Experiences are Essential for the Public History Professional?” the panel was chaired by George Mason’s own Spencer Crew. Going back a bit to the December issue of Code4Lib Journal, Dale Askey considers why librarians are reluctant to release their code and suggests some strategies for stemming their reluctance. I have to say I sympathize completely with my colleagues in the library; I think the entire Omeka team will agree with me that putting yourself out there in open source project is no easy feat of psychology. John Slater, Creative Director of Mozilla, rightly notes that, however unlikely, t-shirts are important to the success of open source software. In his T-Shirt History of Mozilla, Slater shows us 50 designs dating back to late 1990s. Today at CHNM we’re celebrating the general release of Omeka 0.10b and the relaunch of a redesigned Omeka.org. We also have a new tag line—”Omeka. Serious web publishing”—to reflect both Omeka’s power and its usefulness for serious scholarship, library practice, and museum work. Omeka 0.10b features a fully reworked unqualified Dublin Core metadata schema and extensible element sets to accommodate interoperability with digital repository and collections management software; elegant rewritings of our theme API and plugin API; a new administrative interface; and a new and improved Exhibit Builder. While the changes are extensive and represent a next-to-last step forward toward a 1.0 release in early 2009, existing users of Omeka should have little trouble switching to 0.10b. Meanwhile, visitors to Omeka.org will find a new look, easily browsable add-ons directories, improved documentation and user support, and new ways to get involved in Omeka Nation. I’m sure my co-director, Sharon Leon, joins me in extending a special thanks to the Omeka team for their amazing work under serious time pressure to get this thing out the door. The tremendous talents of Jeremy Boggs, Jim Safley, Kris Kelly, Sheila Brennan, Dave Lester, and Ken Albers mark every nook and cranny of the Omeka website, code base, and community. Many thanks as well to our committed users and community developers. We’re looking forward to your feedback in the forums, on the dev list, on Twitter, and on Flickr, and to your help in spreading the word about the new Omeka. Omeka 0.10. Serious web publishing.